Research on migration has often focused on push and pull factors; and on the mobilities which drive migration. What has often received less attention, and what this book recognises, is the importance of the creative activities which occur when strangers meet and settle for long periods of time in new places. Contributions consider case studies in Italy, Kyrgyzstan, France, Portugal and Australia, as well as taking a careful look at the Commonwealth City of Glasgow. They explore the making and use of literature (for adults and children) of art installations; translation processes in immigration law; education materials; and intercultural understanding. The research reveals the extent to which migration takes a place, and takes different forms, as life is made anew out of intercultural encounters which have a geographical specificity. 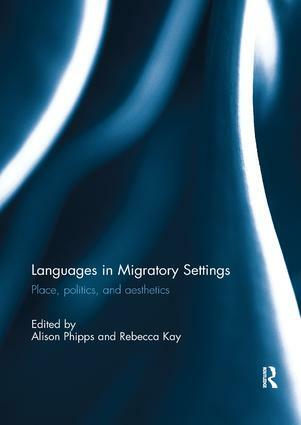 This shift in focus allows a different lens to be placed on languages, intercultural communication and the activities of migration, and enables the settings themselves to come under scrutiny. This book was originally published as a special issue of Language and Intercultural Communication. Alison Phipps is Professor of Languages and Intercultural Studies at the University of Glasgow, UK, and Co-Convener of the Glasgow Refugee, Asylum and Migration Network. Rebecca Kay is Professor of Russian Gender Studies at the University of Glasgow, UK, and Co-Convener of the Glasgow Refugee, Asylum and Migration Network.